Carrots: Trim off the tops then submerge the carrots in water. They’ll stay nice and crunchy this way in the fridge. 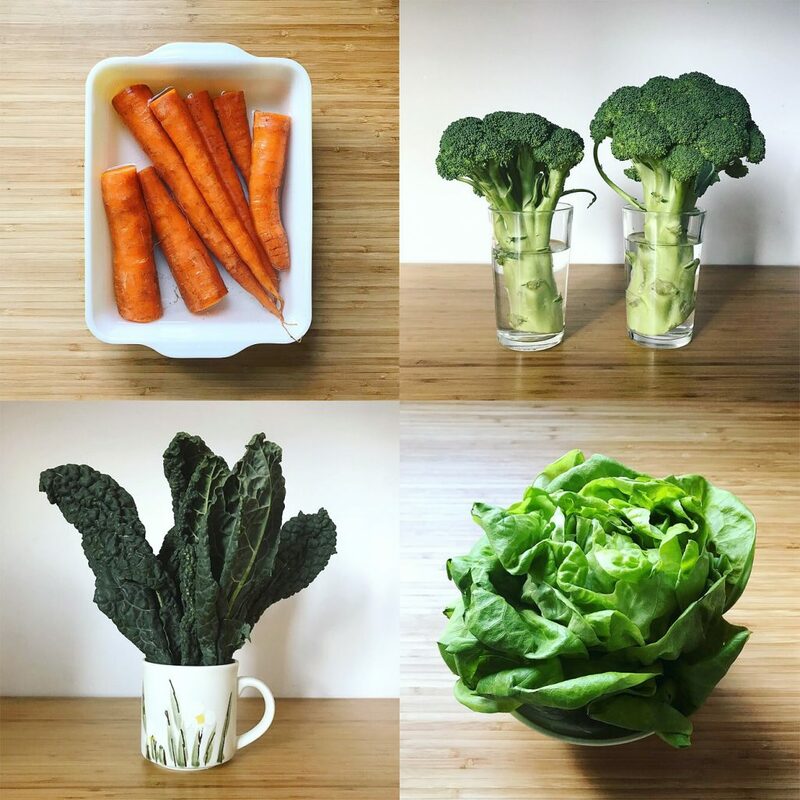 Broccoli: Make a broccoli bouquet  They keep for more than a week like this in the fridge. I do the same thing with parsley and cilantro. Kale: I keep these greens in water, too, until I’m ready to use them. When I’m short of shelf space, they do fine in my crisper drawer. Lettuce: I buy hydroponic lettuce (with roots still attached) so they keep well in a shallow bowl of water. Store-bought head lettuces can be stored in your fridge this way, too.